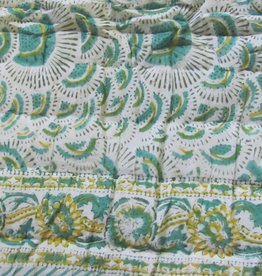 Beautifully soft mul mul cotton quilt with cuddly inside. These double bed quilts or throws for the sofa are super soft and cuddly. Only vegetable dyes are used in the hand printing process.